The Home Of Tysoe United F.C! Tysoe United Football Club is located in the popular village of Tysoe, South Warwickshire. We play all our games at Tysoe Playing Fields and have the use of a homely clubhouse. This website can give you all the latest news, fixtures, results, tables, squads, match reports, links and much more! 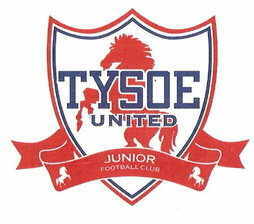 Tysoe United Football Club "Vale of the Red Horse!" If you have any queries about our football club at all, please click on the 'contact us' page and send us your appropriate message. We hope that you enjoy our site! Thanks for visiting our site!